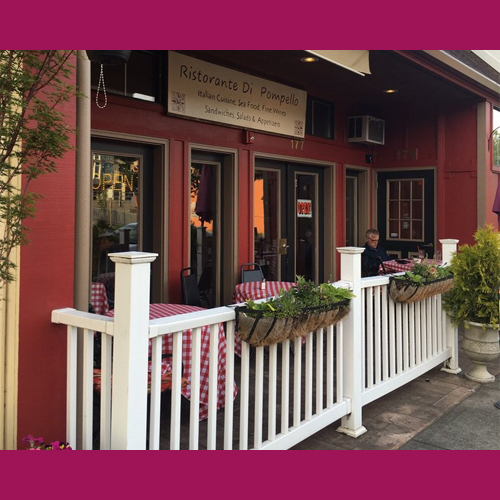 If you are looking for a wonderful local family owned Italian Restaurant than look not further than Troutdale OR. Ristorante Di Pompello is a great place whether you are out with the family, or looking for a nice dinner for two. Ristorante DiPompello is owned and operated by Saul and Ruby Pompeyo. This restaurant is the culmination of a lifelong dream of Saul’s; to open one of his own Italian Restaurants! Saul and Ruby work seven days a week in the restaurant, Ruby makes all the sauces fresh, from scratch, everyday and helps Saul in the kitchen as well. After the Family restaurant was destroyed in the Mexico City earthquake, Saul was recruited to leave Mexico City and come to Portland to manage a downtown Italian Restaurant. After his initial experience in Portland, Saul opened several other Italian food places in Portland for other people. Saul finally decided it was time for him fulfill his lifelong dream and open his own restaurant. He chose to open it in Troutdale because of the small town family atmosphere in Troutdale and Gresham. He wants to know his customers as his friends and family. Because making friends is so important to him, he stresses food quality with every meal that is prepared. “We want to know everybody and have a relationship with our customers and provide the best food we possibly can” ~ Saul.Saul was raised in the Italian Food business. His father owned and operated an Italian Restaurant in Mexico City where Saul learned all aspects of the Italian Restaurant. In the summer time, as a child and teen, Saul would travel to his paternal grandmothers home on the Yucatan Peninsula. His Grandmother was a fantastic traditional Italian cook and constantly entertained many guests and relatives. Always at her side was Saul learning traditional Italian recipes from the finest; Grandma DiPompello. The name of the restaurant “DiPompello” is the the original Italian family name and serves as a memorial to Saul’s grandparents and underscores the value of family to Saul and Ruby.